AutoRD Limited - Autonomous motorcycles and systems engineers. Autonomous Motorcycles. Riderless Taxis. 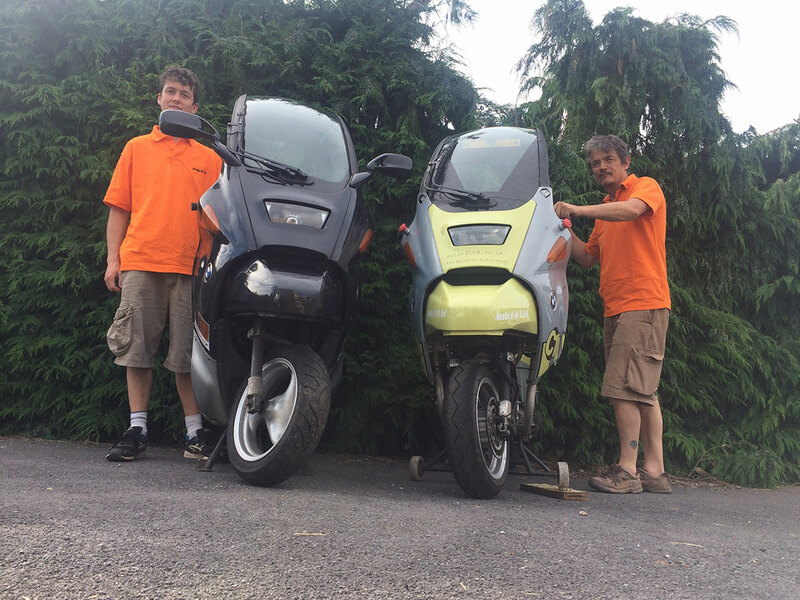 We at AutoRD are autonomous motorcycle systems and software engineers. We are passionate about motorcycles and autonomy, and plan to be the first to offer the world a motorcycle-based Riderless Taxi. We have developed our own motorcycle autonomy software, product designs and are protecting our IP. We are looking for people to get involved in this exciting project, engineers, technical scientists and potential investors. For more information contact Torquil direct on +44 (0)7730 090997. We believe autonomating motorcycles will make them safer. We began our journey into Autonomous Motorcycle Development when we started trading as AutoRD in early 2016; although the thinking and planning started well before that, when Dr Torquil Ross-Martin, then leading Tata Motor’s in-house autonomous driving development team, started thinking about the benefits of motorcycle autonomy. Torquil soon became aware that, despite the huge amount of work going on in relation to automotive autonomy, and the large amount of funding pouring into it, practically no-one was working on Autonomous Motorcycle Development. This was important because it meant that the opportunity existed to establish a new business in this area before the big players got involved, and so both set the direction of the industry and develop a world-leading level of experience, which would become increasingly valuable. Perhaps uniquely, the AutoRD team combines in-depth knowledge from both the motorcycling and autonomous technology domains, enabling us to see both how the technology will benefit motorcycling and what must be done to develop and apply it. Bikes you can summon when the sun comes out. Hand-of-God like rider assistance that will let you explore the full performance envelope without fear of crashing. Riderless taxis to cut through the urban queues. Radically improved styling and handling. Well sadly and inevitably, motorcycles will get more complex and harder to fix. But just like a battle between your iPhone and your old Nokia or an F22 vs a Spitfire, this is a competition that those with the budget for the technology will win! Join the AutoRD Community on Social Media and be part of this incredible journey. We are looking for engineers, technical scientists, motorcyclists, and partners. If you have the skills and would like to help with this autonomous motorcycle project, in any way, please contact us on +44 (0)7730 090997. We want to talk to you. Autonomous Riderless Taxis are the transport of the future. If you want to talk to AutoRD direct about this project please call Torquil on +44 (0)7730 090997. Invest in the future – Invest in AutoRD – The Future Is Exciting. If you have any questions or would like to receive an Investors Pack please contact us. Stay in touch – join us on social media, sign-up to the AutoRD newsletter, read about us in the motoring press, contact us using the auto form, or ask us a question read our BLOG.